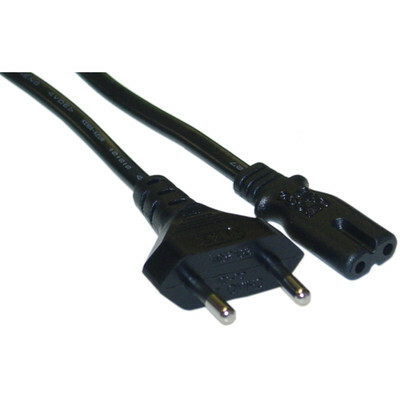 This 6 foot power cord will power European notebook computers that do not require a polarized connection. The device end of this cable is a standard IEC C7 while the European end is the CEE 7/16 Europlug. This CEE 7/16 connector is also listed as Italian standard CEI 23-5, and Russian standard GOST 7396. While this cable is listed as a notebook power cord, it will work with any device that uses an IEC C7 power connection. Not sure how to rate the product. It fit and it works.